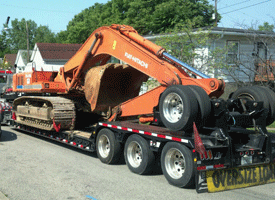 We have extensive excavation equipment and can handle large or small excavation projects. 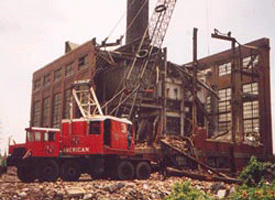 We provide wrecking services for all business, industrial or residential projects. 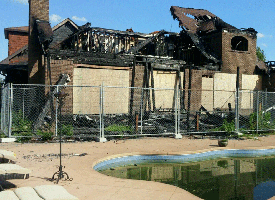 We have removed warehouses, commercial plants, and residential homes. 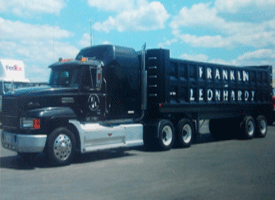 Franklin & Leonhardt also provides a dump truck service utilizing 18-wheel MAC trucks. Call us when your project dictates the need for dump truck services. 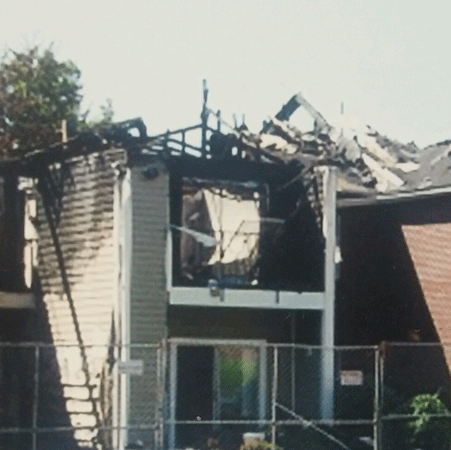 Franklin & Leonhardt Demolition demolished a house in Louisville that fell victim to a fire. 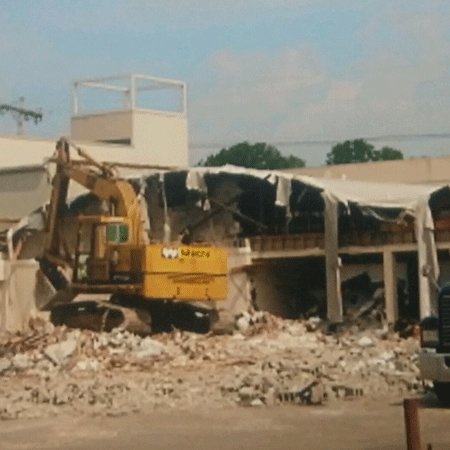 Franklin & Leonhardt cleared the way for the renovation and expansion of Tafel Motors in Louisville, KY.
A house was demolished to make a parking lot for a local church. 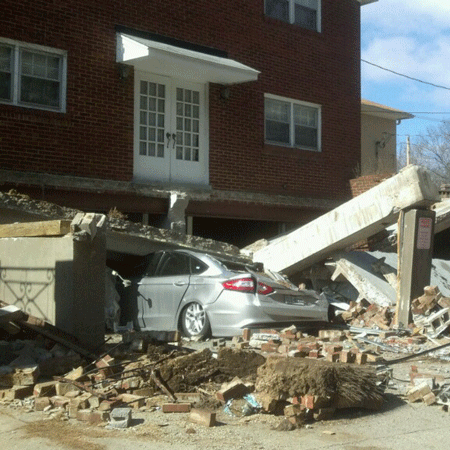 After a parking garage collapsed in Cherokee Park, Franklin & Leonhardt Demolition was called in to remove the debris. 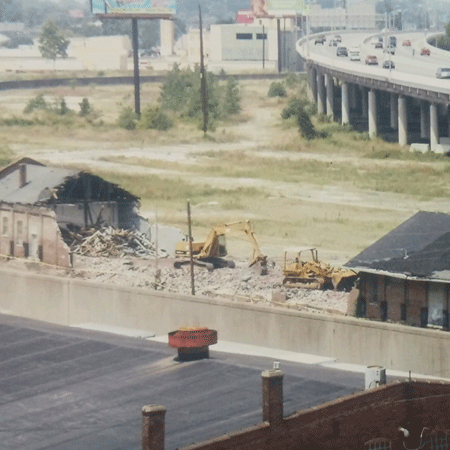 A warehouse in Louisville, KY was demolished by Franklin & Leonhardt Demolition. 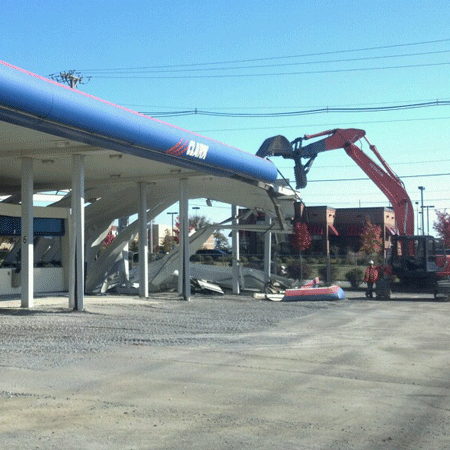 Franklin & Leonhardt Demolition took down a gas station in Mount Washington, KY. 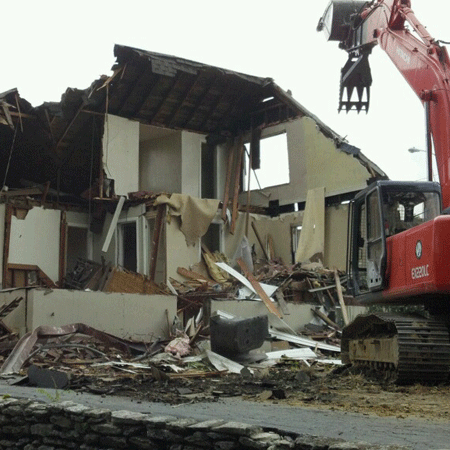 Copyright © 2016 Franklin Leonhardt Demolition. All rights reserved.